HMH Books for Young Readers, 9781328498014, 336pp. Whitney Taylor is a YA writer who only speaks one language--fangirl. When she's not devouring books, she spends here time taking selfies, obssesing over any TV show with a love triangle, and eating too much McDonald's. She's an English and Psychology major from Virginia who likes to pretend she's a supermodel from New York City. Visit her on Twitter @WhitneyTayy, and on Instagram @whitneytaylor4. 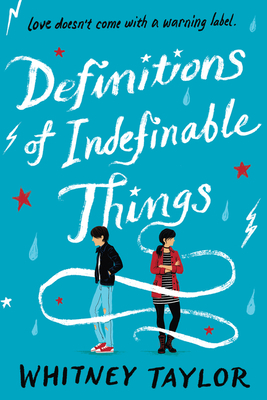 "Taylor portrays depression with complexity in this authentic, often confrontational debut..."
"An emotionally engrossing and powerful exploration of depression and healing that many teens will find meaningful." "A compelling exploration of mental illness."